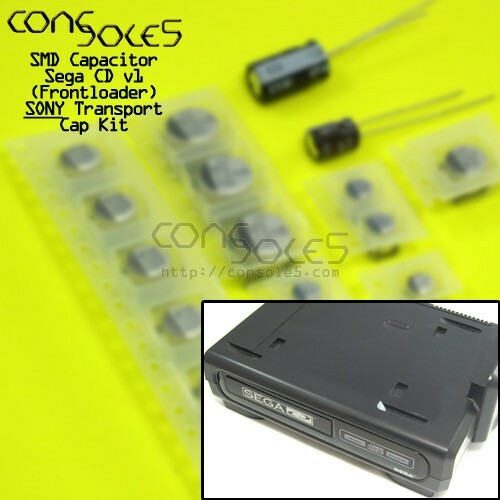 This kit contains all SMD, miniature, and full-size electrolytic capacitors for the Sega CD frontloading system MAIN, SUB and SONY CD transport PCBs. It does not include the miniature cap on the laser head (they are not inherently prone to failure and the risk of damage to the laser is high). For capacitor lists and maps, please see our Sega CD v1 Wiki page.